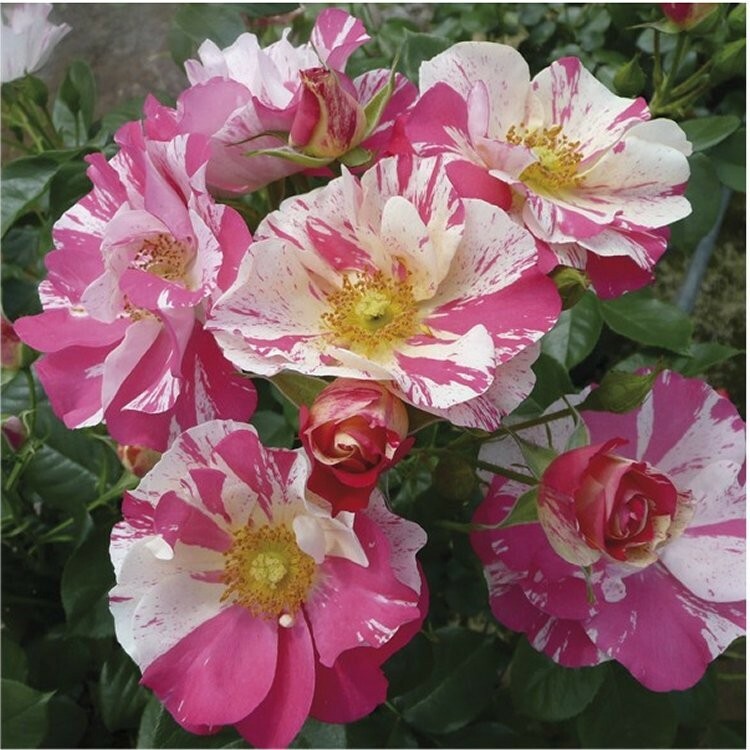 A very attractive and unusual colour, the blooms are a cerise pink with irregular ivory stripes. The ivory fades to pink as the rose matures and the whole show is a fantastic blaze of colour, sure to attract plenty of interest and attention as a conversation piece if nothing else. A very healthy rose which always seems to be in bloom throughout the season, this variety is also a very easy to grow with a pleasant perfume. Supplied in approx 5 litre containers.